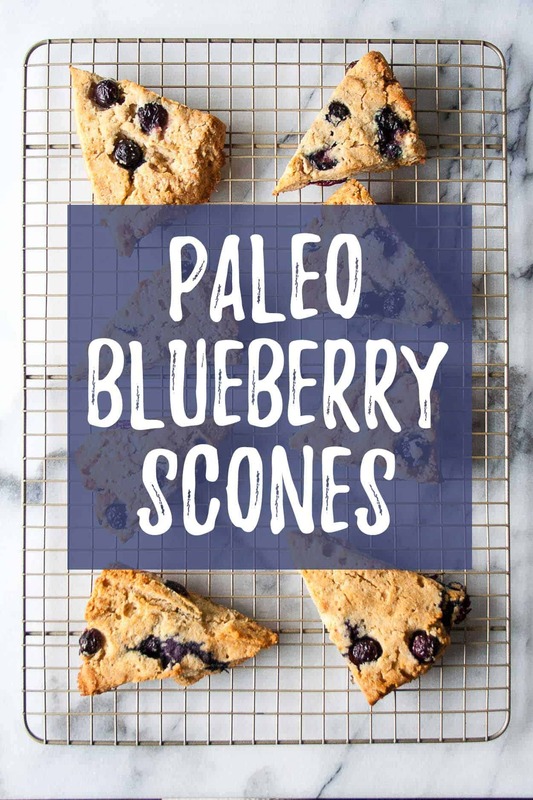 Made with simple pantry staples, these paleo blueberry scones are the perfect treat to celebrate your mom this weekend! 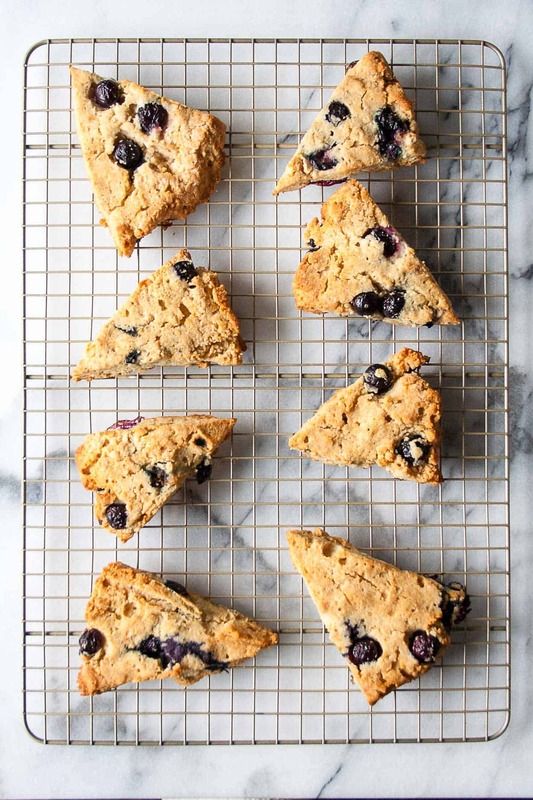 Naturally sweetened with maple syrup and fresh blueberries, these scones need to be on your brunch menu! In addition to the fact that she is inherently hard to shop for, it is also insane to try and find something that accurately shows my appreciation for her and all that she has done for me. My sisters and I grew up very lucky; we were raised by two incredibly hard working parents who gave us a safe and loving home. At the time, it was all I knew – all any of us knew – but now that I am older, I can see how rare that is. Mom was a tower of strength. She stayed at home when we were young, took care of our cuts and bruises, put aloe vera on my sunburned back countless times, and made dinner for us every single night. She was our rock when my older sister was diagnosed with cancer and of course when we lost my dad to brain cancer as well. 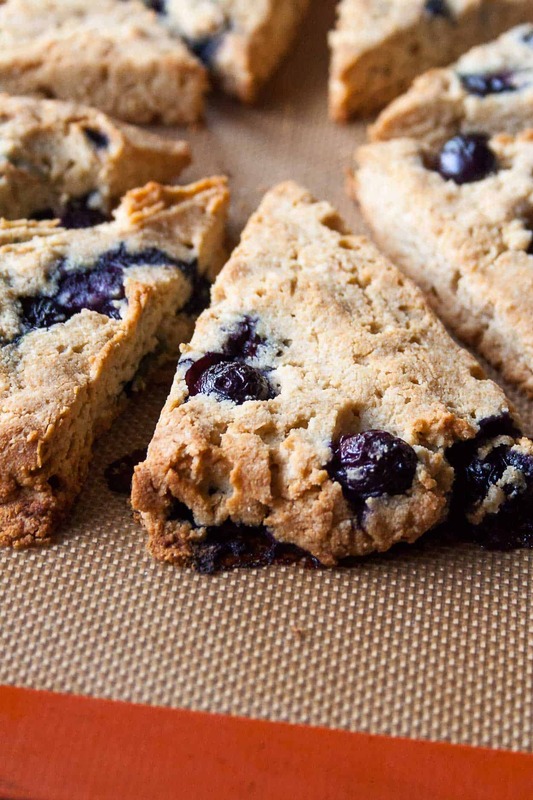 And although I won’t be with her on Mother’s Day, I did bake her a special treat – paleo blueberry scones. 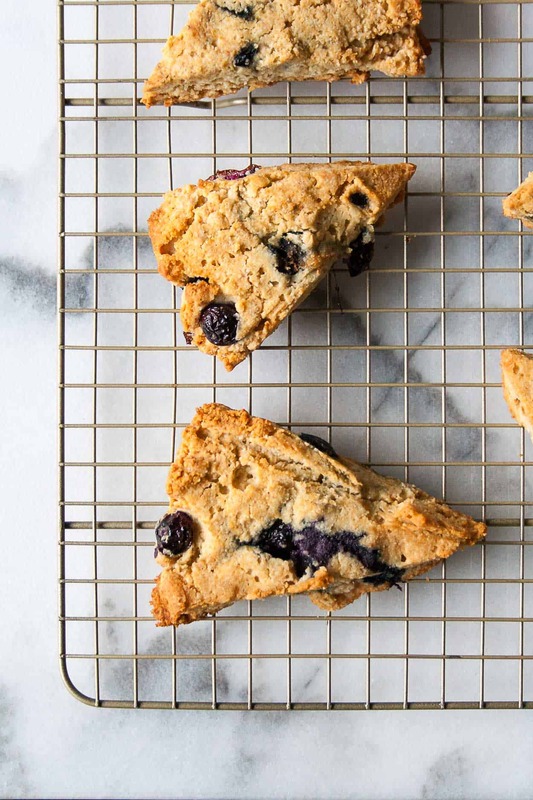 For the scones, I used Bob’s Red Mill Paleo Baking Flour – I LOVE this stuff because it is a mix of almond flour, arrowroot starch, coconut flour, and tapioca flour. So instead of stocking all of those items in my pantry, I just stock this mix! 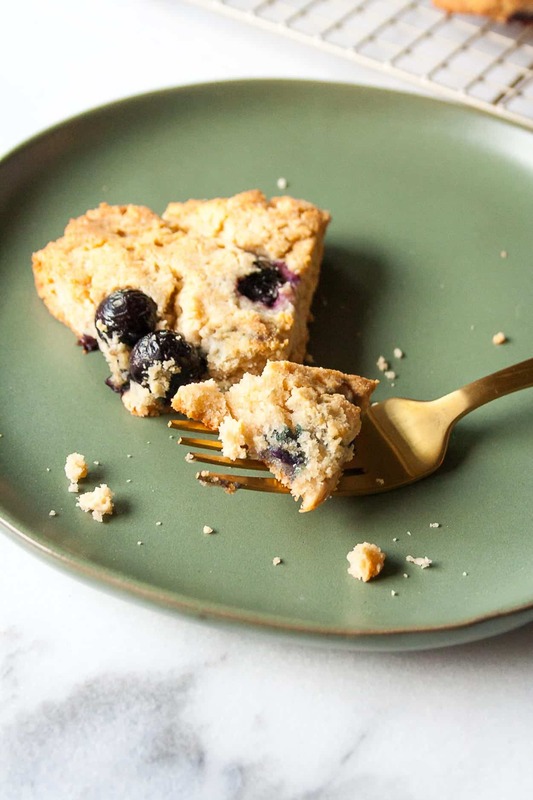 And I have no doubt that you have all the other ingredients as well – salt, baking soda, coconut oil, maple syrup, almond milk, and blueberries. 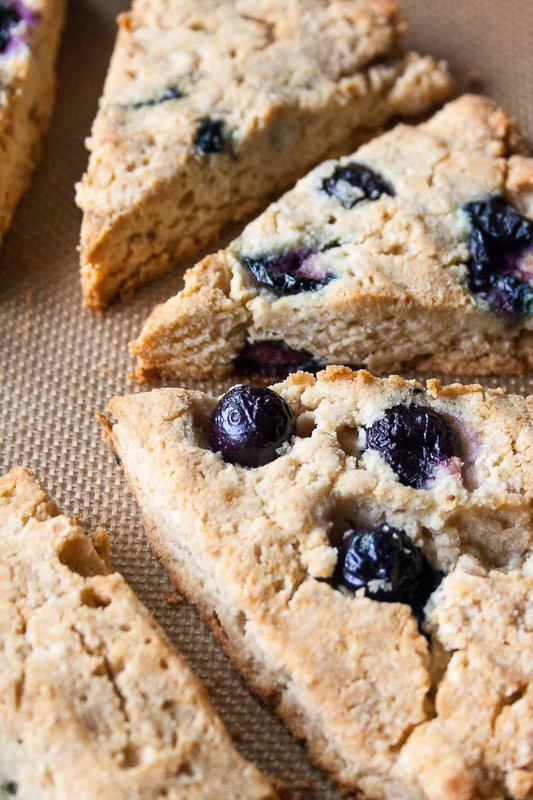 When you make these Paleo Blueberry Scones, post a picture on social media and use the hashtag #imhungrybynature for a chance to be featured! Preheat the oven to 375 degrees F and line a baking sheet with a silpat liner. Add the flour, salt, and baking soda to the basin of a food processor. Pulse to combine. Add frozen coconut oil – breaking up the sheet into chunks. Pulse until coconut oil chunks are just smaller than the size of a pea. Dump mixture unto a bowl and add maple syrup and almond milk. Stir to combine. Press mixture into an 8 inch circle on the silpat liner. Cut into 8 equal triangles and separate them on the sheet. Bake for 23-27 minutes or until the edges and top are golden brown. Cool on the baking sheet for 5 minutes before transferring to a wire rack. *It is best to measure the coconut oil and spread on parchment paper before placing in the freezer. This thin layer will be easier for the food processor to break down. Do not freeze in one large clump. You will end up over processing and most of the oil will be liquid instead of staying in frozen pea-sized pieces. Don’t forget to pin this for your Mother’s Day celebration! Could you use liquid coconut oil instead of freezing solid? Hi Linda! Unfortunately not. You want the coconut oil to be frozen so when you put it in the food processor, it breaks down into small pieces but does not liquefy. This helps keep the scones flaky – otherwise they will be much for cookie/cake-like! WW points or calories please? Hi Linda – I actually do not calculate the WW points or calories for my recipes. If you are interested in that, please feel free to plug the ingredients into one of this calculator to determine calories/fat/sugar/etc: https://www.myfitnesspal.com/recipe/calculator and from there you should be able to determine the WW points.